Email is an essential component of business activity and workforce enablement. As cost, scale, flexibility, and usability become more important, organizations are seeking cloud-based email systems to support their workforces. 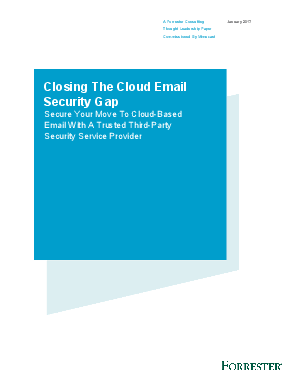 Although cloud-based email investments provide financial and operating benefits, they do raise several security challenges. This report suggests that few firms understand or prepare upfront for the security challenges prior to their migration to a cloud environment.